Andrés F. Martinez is a senior financial sector specialist for the World Bank Group’s Finance, Competitiveness and Innovation Global Practice. Since 2011 Andres has been advising several countries on debt-resolution reform, including on insolvency systems and debt recovery in Eastern Europe and Central Asia, Latin America and the Middle East. In his current position, he leads the dialogue with several governments on technical issues related to debt resolution and insolvency. Andres is a lawyer by training with over 15 years of experience and a Magister in corporate law. He joined the World Bank Group in 2008 to lead the Insolvency indicator of the World Bank-IFC Doing Business project. 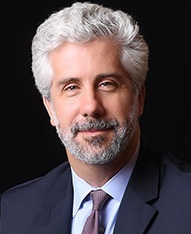 Before joining the World Bank Group, Andres worked as senior associate at the restructuring and litigation department of a top Argentine law firm in Buenos Aires for over 6 years, where he advised clients like Citibank, Visa, Unilever and other large domestic and international corporations in secured transactions, debt enforcement, restructurings and liquidations. Stephen Bull is an Associate Professor of Law (Practice) at Singapore Management University, where he teaches corporate and insolvency law. Before joining SMU, he was a partner at Linklaters. He practiced corporate law in Singapore, London and New York. He holds a Master of Laws (LLM) from Harvard Law School, a Bachelor of Arts (BA) and Bachelor of Laws (LLB) from Victoria University of Wellington. He is a Solicitor (England & Wales), Attorney-at-law (New York) and Barrister and Solicitor (New Zealand). His current areas of research include corporate law and corporate insolvency law. Wan Wai Yee is Dean for Postgraduate Research Programmes at Singapore Management University. Concurrently, she is Professor of Law and Lee Kong Chian Fellow. She has previously served in various administrative capacities at SMU, both at University and School-levels, including as Academic Director, Faculty Affairs at the Office of Provost, Associate Dean for Teaching and Curriculum at the School of Law, and the Deputy Director of Centre for Cross-Border Commercial Law in Asia. She graduated with an LLB (First Class Honours) from the National University of Singapore. She also holds a BCL from the University of Oxford, where she was in residence at St Edmund Hall. Immediately prior to joining academia in late 2005, she was a partner at Allen & Gledhill, where she practised in mergers and acquisitions and equity capital markets. Her main areas of research are in corporate law, mergers and acquisitions, securities regulation and global restructuring and insolvency. Her research work centres on the optimal legal institutions and governance framework in order for securities markets to flourish. She has a particular interest in Asian securities markets and why the solutions to corporate governance issues and securities market integration in the West (the United Kingdom (UK) and the United States (US)) may not be ideal as a basis of global best practice or may not work as intended in Asia. Her articles have been published or accepted in international peer-reviewed legal journals, including Journal of Empirical Legal Studies, European Business Organisations Law Review, Journal of Corporate Law Studies, Journal of Business Law, Company and Securities Law Journal and Lloyds’ Maritime and Commercial Law Quarterly. She has received external research grants and research awards and fellowships for her publication record, including the Lee Kuan Yew Fellowship for Research Excellence (2015-2016), the Lee Kong Chian Fellowship (2015-2019), Hauser Global Research Fellowship by NYU (2008), and the Lee Foundation Fellowship for Research Excellence (2007). Her research findings have been relied on in consultation papers involving law and regulatory reforms locally and internationally. She is on the editorial boards of Australian Journal of Corporate Law and Company Lawyer and she has served on national committees relating to law reform and policy. 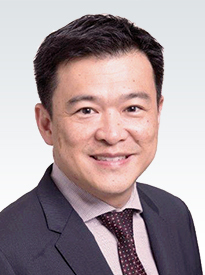 Lee Eng Beng joined Rajah & Tann Singapore LLP in 1998 and became the Managing Partner of the firm in 2010. He is also the Chairman of Rajah & Tann Asia, a network of law firms with more than 550 lawyers and offices across South-East Asia. He also runs a busy legal practice as a disputes lawyer, and was appointed as Senior Counsel in 2008. His main area of practice is in commercial litigation and arbitration, with a focus on corporate disputes, shareholders' and joint venture disputes, bank-client disputes, and restructuring and insolvency proceedings. Mr Lee graduated with First Class Honours in law from the National University of Singapore in 1992. Upon graduation, he served as a Senior Tutor with the Faculty of Law in NUS and a Justices' Law Clerk in the Supreme Court of Singapore. In 1994, he obtained the Bachelor of Civil Law postgraduate degree from Oxford University, with First Class Honours. He then served as a Lecturer in the Faculty of Law in NUS from 1994-1998. 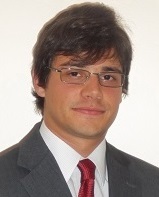 Aurelio Gurrea-Martínez is an Assistant Professor of Law at Singapore Management University, where he teaches corporate governance, financial regulation, and comparative and international insolvency law. He is also the Director of the Ibero-American Institute for Law and Finance. Before joining SMU, he was a Fellow of the Program on Corporate Governance and Teaching Fellow in Capital Markets and Financial Regulation at Harvard Law School. He has taught or conducted research at several institutions in the United States, the United Kingdom, Continental Europe, Asia, and Latin America, including Harvard Law School, Yale Law School, Columbia Law School, and the Max Planck Institute for Comparative and International Private Law. He has published extensively in corporate and insolvency law, and he has acted as a legal consultant on corporate and bankruptcy matters to various companies, governments, financial institutions, and business law firms. 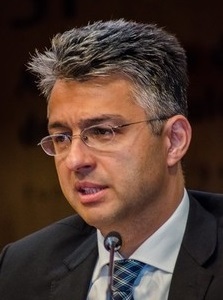 He has been invited to present his academic work before various regulators, international organizations, and policy-makers, including the International Monetary Fund (IMF), the International Organization of Securities Commissions (IOSCO), the Organization for Economic Cooperation and Development (OECD), and the U.S. Securities and Exchange Commission (SEC). He received the Talentia Fellowship to conduct his studies in law and finance at the University of Oxford, the Class Prize for Best Paper in Law and Economics at Stanford Law School, and the Silver Medal in International Insolvency Studies given by the International Insolvency Institute. In 2016, he was named Rising Star of Corporate Governance by the Millstein Center for Global Markets and Corporate Ownership at Columbia Law School. His research interest lies in the intersection of law and finance, with particular emphasis on corporate governance, financial regulation, corporate finance and corporate insolvency law, and how legal and institutional reforms may promote entrepreneurship, innovation, access to finance and economic growth. Francisco Satiro is a Professor of Law at the University of Sao Paulo and at the FGV Law School in Sao Paulo. He is a member of the editorial board of Revista de Direito Mercantil Industrial, Econômico e Financeiro, and member of the groups of experts in insolvency law of the Ibero-American Institute for Law and Finance. From 2009 to 2010, he was a professor of Capital Markets Regulation at the Centre for Transnational Legal Studies in London, coordinated by Georgetown University and King´s College. He has written widely in the field of corporate law, insolvency law, capital markets and financial regulation. Richard Squire is Professor of Law at Fordham Law School, where he holds the Alpin J. Cameron Chair in Law. He received his Juris Doctor from Harvard Law School, an MBA from Harvard Business School and a BA from Bowdoin College. Professor Squire publishes primarily on the subjects of corporate law and corporate bankruptcy. His research has been published by some of the world´s law journals, including the Columbia Law Review, the Yale Law Journal, the Journal of Law and Economics, and the Harvard Law Review. Some of his papers have been named "Top 10 best corporate and securities articles" in the United States by the Corporate Practice Commentator. 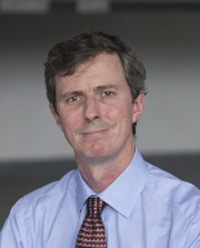 Professor Squire has also published a leading textbook on corporate bankruptcy and financial reorganization, and he has contributed as an author to many edited books on corporate and bankruptcy law, including the Research Handbook on Corporate Bankruptcy Law and the Oxford Handbook on Corporate Law and Governance. He has twice been elected Fordham Law School's Teacher of the Year. He previously taught at Harvard College, where he won the Allyn Young Award for excellence in teaching principles of economics. From 2001 to 2002 he clerked for Judge Robert D. Sack on the U.S. Court of Appeals for the Second Circuit, and between 2002 and 2005 he was an associate with Wachtell, Lipton, Rosen and Katz in New York City. He has been the Karl W. Leo Visiting Professor of Business Law at Duke Law School, the Joseph F. Cunningham Visiting Professor of Commercial and Insurance Law at Columbia Law School, and the Florence Rogatz Visiting Professor of Law at Yale Law School. Felix Steffek is a University Lecturer at the Faculty of Law of the University of Cambridge and a Senior Member of Newnham College. At Faculty level, he serves as Co-Director of the Centre for Corporate and Commercial Law (3CL) and Deputy Director of the Cambridge LLM programme. In College, he is Director of Studies for undergraduate and graduate students. His research interests cover corporate law, insolvency law, commercial law, dispute resolution law and technology & law. He applies doctrinal analysis, comparison of laws, economic analysis and justice theory to advance theory and develop practical solutions. Felix Steffek has published widely in his areas of interests and is a Member of the Editorial Board of the Journal of Corporate Law Studies, the Cambridge Yearbook of European Legal Studies and other academic journals. He is a Member of the Education Taskforce of the UK LawTech Delivery Panel. He has acted as policy advisor and expert for the European Commission, the European Parliament, the World Bank, the OECD, national governments, courts, parliaments and science foundations. He received his education at Cambridge (LLM), Heidelberg (PhD, undergraduate) and Hamburg (Habilitation, court clerkship). Andrew Chan is a partner at Allen & Gledhill. His practice encompasses commercial work, and he is a specialist in dispute resolution (especially arbitration), trusts, and insolvency (corporate and personal). In arbitration, he has acted as counsel, been appointed arbitrator and appointed to give expert evidence on Singapore law. He has also given expert evidence for use in foreign courts and in arbitration and has mediated insolvency disputes. Andrew has been consistently noted as a leading restructuring and insolvency lawyer in The Legal 500 Asia Pacific, Chambers Globaland Chambers Asia-Pacific, Who’s Who Legalfor Insolvency and Restructuring, and IFLR1000. He has been described in Chambers Asia-Pacific(2018) for restructuring and insolvency as “extremely good” and “very well known”. Andrew is a Fellow of both the Singapore Institute of Arbitrators and the Chartered Institute of Arbitrators. He is on the panels of arbitrators of the Singapore International Arbitration Centre, the Law Society Arbitration Scheme, the Singapore Institute of Arbitrators and the Asian International Arbitration Centre. He is also a Fellow of the Insolvency Practitioners Association of Singapore, and a Director of the American Arbitration Association-ICDR Ltd. Andrew is the General Editor of the leading local practitioner’s book entitled Law & Practice of Corporate Insolvency. 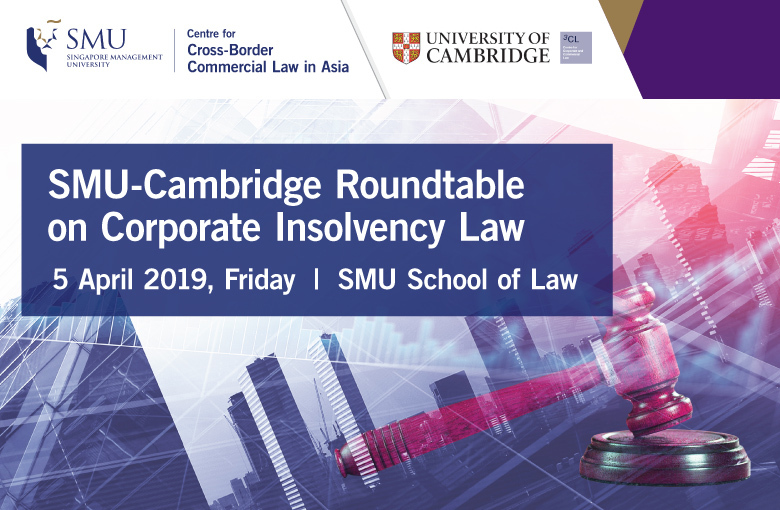 Andrew has also co-authored two works on personal insolvency: Butterworths Annotations of The Singapore Bankruptcy Act and Law and Practice of Bankruptcy In Singapore and Malaysia. He is also Consultant Editor of Halsbury’s Laws of Singapore volume on Insolvency. On arbitration, he has co-authored the Singapore chapter of the publication Arbitration in Asia. Andrew’s writings have been cited in decisions of the Singapore Court of Appeal, High Court and District Court. Andrew read law at the National University of Singapore. He is fluent in English and Bahasa Malaysia. In October 2011, Andrew was presented the “Minister for Law Outstanding Volunteer Award”, the highest volunteer award for individuals given by the Ministry of Law Singapore, for providing expertise and helping shape insolvency practice in Singapore.